Posted at 1:48 pm on December 5, 2012 by Lori Z.
Oooh, busy work for the press! That’s right, the White House passed out a handout during the press briefing today. Twitter users decided to hand out the mockery. I knew it! 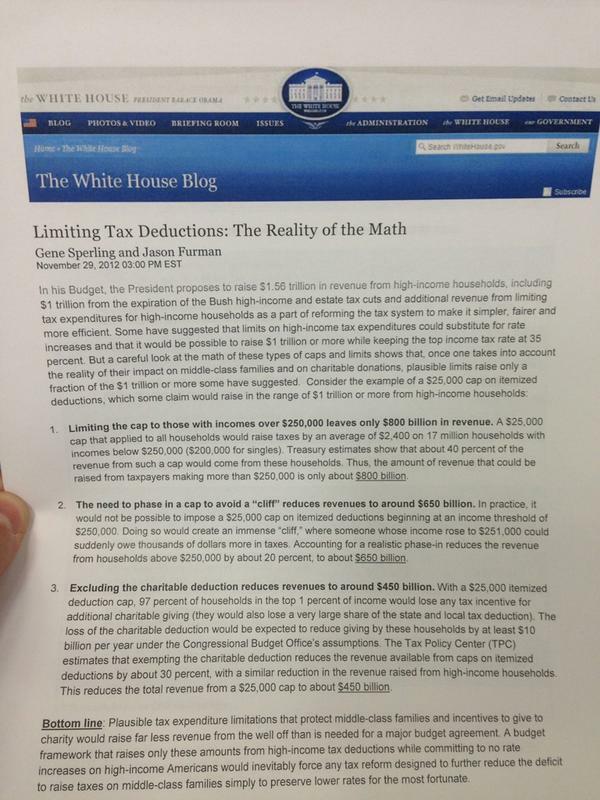 RT @ZekeJMiller: There are handouts at today's WH briefing. Any crayons? "@ZekeJMiller: There are handouts at today's WH briefing"
Binders? RT @JohnEkdahl I knew it! RT @ZekeJMiller: There are handouts at today's WH briefing. Heh. No such luck. Sorry, Detroit councilwoman! No actual handouts for you. It was a paper handout. Of a blog post. Apparently, the Obama administration believes it needs to keep things simple for the poor dears in the press. What, no printout of the tweets scrolling across the official White House website? Sheesh! Ah, the high-tech White House, what with its week old paper printouts of blog posts. Did Carney crank them out on the mimeograph machine? Why didn’t he set up a projector and some transparencies while he was at it? Oh, that’s right. Transparency is now a bad word. Paper, it is! Math is hard, for the White House. And, evidently, so is technology.